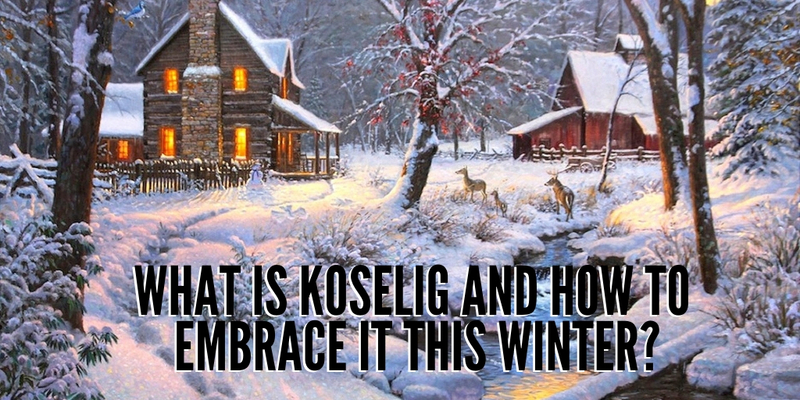 First things first, let’s discuss why koselig [pronounced coo-she-lay) is such a big deal. Nick Forrester, the managing director of Norwegian Log, describes koselig as the Norwegian secret to enjoying a long winter with nothing more than lit candles, comfort food and quality time with friends and family. For such gatherings, Scandinavians like to use their second home; often log cabins located in the countryside and used for centuries to endure the harsh, Scandinavian winter. Although ‘koselig’ is widely known as ‘cosy’, it is often misinterpreted by an interior design trend. In reality, anything could (and should) be koselig: a house, a conversation or a meal, as this is what helps Scandinavians beat the northern chill. This Norwegian trend is invaluable for combating the wintertime blues, which can be tackled by having comforting tête-à-têtes and enjoying simple treats such as spoiling yourself to a new pair of shoes or organising a friends meeting. This is very important, especially when those dark and cold days accompany Scandinavians for a bit longer than the rest of Europe (Winter in Scandinavia starts around October and finishes in April). When it comes to interior design, Scandinavian interior trends have taken the world by storm thanks to their simplicity, practicality and effortless stlye. If used in the right way koselig can transform your house into an oasis of cosiness, but if done incorrectly it can come off cold. With koselig, the concept is simple – the cosier the better. So if you have already fallen for the Scandinavian style, throw in some candles and fur accessories to give your place a warm and welcoming atmosphere. Dial down the clutter and reorganise the space – remember that hygge is subtle and delicate, not loud and messy. And finally – use some wood! Remember that for Scandi natives, wood is a no-brainer as it is malleable, reliable and it grows everywhere. So embrace their mind-set and use it for everyday use accessories, such as candleholders, coat racks and drinks coasters!